Check out "Weight of the Nation!" HBO has produced a series called "The Weight of the Nation" which began screening this past May. Click here to follow the link to the website for more information about the film and actions they we can take. Once you've begun to watch the series, please give your feedback so we can share with others. This is serious and action must be taken if we are to survive. I want to stress that we are Health Coaches, (Keep reading and re-reading Dr A's book!) and not weight loss or diet coaches. That said, we have an opportunity to witness another person's pain, process and progress. We've been blessed with a Program that actually works and is sustainable! The following note from a relatively new client brought tears to my eyes ... though she and I had met once before and chatted frequently, this is the next layer that she's been willing to share. Thankfully, we don't coach in isolation! We are supported in our coaching role by TSFL, have access to the Nutrition Support Team, and behavioral psychologists who are available to clients as well. Also, we are encouraged repeatedly to direct clients to connect with their providers and community resources. I have noticed a pattern in myself recently of 2 steps forward and 1 step back so this week was the 1 step back again. I am taking steps to correct that situation though. I have discovered and come to the conclusion that popcorn is no longer allowed to cross the threshold of my house. We are not able to dwell peacefully together - it had to go. I have a history of Bulimia which not many people know about me. It developed when I was in my early teens. I binged, I purged, and I became addicted to exercise. I didn't know that was what I had or even that it was a problem until a few years later. The first time I heard about Bulimia and it's symptoms I knew that someone had taken a look at my life and put a label on it. Thankfully I was always too smart (or a chicken) when it came to any type of drug use -so I didn't get into taking laxatives or anything like that. I had always had problems with acid stomach caused by stress and would get sent home from school with stomach aches as early as 3rd grade. Between the ages of 13-15 I lived on tums, rolaids, maalox, and mylanta because that's what the doctors said to take even though they thought it was all in my head. After I left home at age 15 I went to the doctor and had an Upper GI series that showed the acid was eating a hole through the lining of my stomach (so much for it being all in my head). I didn't like taking medications and I was a runaway so back to the rolaids. The binging (has been hard) to address and conquer. Being on plan has helped a lot but I still have some definite room for improvement. Foods that I have known myself to binge on are not allowed in my house. If I dont buy it and don't have access to it then I can't eat it. Thus this week popcorn was evicted from my life and my house. We are Health Coaches and I'm so grateful to clients and coaches on our team ... We are constantly learning, growing and engaging. We offer Hope. If you are interested in losing weight, gaining health, and helping others, let me know ... the resources, training, and support are awesome! Polly. From the Director of "Weight of the Nation." "If you were told your child is at risk for cancer, that would get your attention. If you were told your child is at risk for some sort of brain disease, that would get your attention. Well, obesity ought to be on that list. If we don't succeed in turning this epidemic around, we are going to face, for the first time in our history, a situation in which our children are going to live shorter lives than we do." We've all experienced the mental fog and sleepiness that can follow a large holiday meal ... and, none of us would welcome that kind of "brain fog" on a daily basis. One key is to keep our blood sugar and blood insulin levels in the lower ranges of normal. Chronic mid-range and high blood sugars coincide with higher levels of inflammation and physical dis-ease. A new study by Austrailian researchers confirms that higher than average blood sugar levels contribute to reduction of mental clarity and brain function. They concluded that, "Higher blood glucose levels were associated with brain atrophy among healthy individuals in their early 60s, even when levels remained within the official normal range." Click here to read more. Remember - diets don't work but new habits do! Health Coach resource is all about building the new habits you need to help you lose weight, keep the fat off, and gain health for a life time! If you are looking for coaching to help you make sustainable changes so that you can live the life you are meant to live, give us a call! A Little Help from our Friends! The check-ins I've gotten in the last few days are so inspiring! And, thank you for the trust and excitement as I reach out to the family members and friends you are referring. Thank you very much!! Well, it's September and vacation is over for most of us - I can tell because so many folks who went missing this summer after getting part way to their goal have gotten back on Program in the past few weeks. We have collectively renewed our commitment to health, re-set our compass, identified the necessary baby-steps, and taken action to improve our personal health and the well-being of our families, friends, co-workers, and communities. As Dr Andersen put it in his weekly note, "The Beatles had it right! Take advantage of the community around you, friends and family for support on your life-long journey to optimal health. We are all in this together!" Find more at: http://www.drwayneandersen.com/, including stories, recipes, and tips for success. "I don't have a thing to wear!" Yet, you know they have closets full of clothes ... all in different sizes that don't fit! "My doctor says I have pre-diabetes." 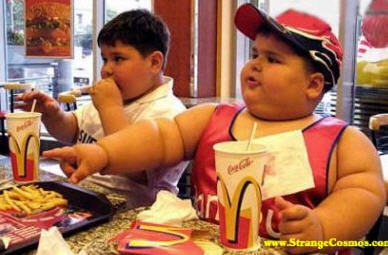 If they are heading towards diabetes, they are going the wrong direction! Call us, we can help them. "Let's take the elevator." If your friend is getting winded going up stairs or experiencing knee pain with each step, it's time to share our plan. I fell off wagon last weekend and felt feel horrible! I felt the brain fog start to creep back in - it was so scary. I don't ever want to go back. I restarted on Monday ... I'm so glad this is a life-style program not just another diet. Within 48 hours of restarting, I'm no-longer hostage to cravings, I'm eating like a queen, and feeling sooo much better. I've started walking at lunch time daily - such a simple thing like walking was so hard for me before. Now I won't have to take pictures from sitting in my car, I'm able to go out and take the photographs whenever I want to! What result do you want to create? What are you willing to do to get where you want to be? What are the baby-steps that you are taking that are getting you where you want to go? I'd like to encourage you to seriously consider documenting your own personal journey ... See how Bianna recorded her journey as she burned through 88+ pounds. Her story is attached below. A few months ago, a new client told me she hated to cook. It wasn't that she didn't like cooking, it was that her legs hurt too much to stand around in the kitchen long enough to whip something up. Now that she's down the first 30 pounds, she's begun to enjoy the opportunity to create new meals using the recipes we've been working with. Let me know if you'd like a copy of the booklet we have complied. 9/27/12 TSFL Regional Training in San Francisco - If you're in the area, join us for a presentation on Friday evening, 9/28 at 6pm. 10/20/12 Local Client presentation and coach training ... details to be announced. If you don't live in the Portland/Vancouver Metro area, there may be presentation and training events in your area. Let me know your interests and I'll find out. Have a great week! Be sure to check in today - Call, text or email your stats and tell me where you are and what you're learning in Dr A's Habits of Health. Talk to you Soon! Polly. What's the Deal with Corporate Wellness Programs? As employees, the decisions our employers make about health programs and benefits, effect our access to healthcare as well as morale, loyalty, and buying power. Tightly linked, the escalating cost of goods and services reflects the increase of our weight in America and the decline in our health. This interesting article, The State of Corporate Wellness Programs in America, graphically illustrates the strategizing and efforts employers are making in the work place to address the repercussions of the obesity epidemic. It's no coincidence that the word "tragic" comes to mind when contemplating the "tragectory," that we are on that is leading to increased illness, suffering, and financial disaster on all fronts. Together, we can make a difference ... decide at this moment to create your vision of health, re-set your course, identify the necessary baby-steps, and take action to improve your personal health and the well-being of your family, friends, co-workers, and community. Contact me today and I'll help you make a simple, obtainable, and sustainable plan. Coaching is what we do best! I love the training and education I gain from reading Dr Andersen's books and blogs. In yesterday's post, he provided more information on the importance of avoiding high glycemic index foods. This helped me understand the truth of the saying, "Betcha can't eat just one!" Foods that carry high glycemic loads are more likely to make you hungry faster. The foods will cause an increase in your blood sugar which then starts a cycle of the body releasing insulin to aid in the rise in blood sugar and insulin also helps to store the excess sugar as fat. The body will then become low in blood sugar and you will be hungry again. A study out of University of Massachusetts found that those who ate foods high on the glycemic scale weighed significantly more than those who did not. Click here to go to his site and read more. Jennifer and her husband are two of my favorite people ... they inspire me beyond words and I love seeing them at all the Take Shape for Life events. If you haven't heard Jenn's story, you can read it here. When Greg and I first started in January of 2009, I didn't believe any of the stories I'd heard nor had I ever met anyone who had been successful ... that's all changed! Please take a moment to read Jenn's story then call me! Ask me how to get started, stay focused, and reach your goals. And, ask me how you can help others! Together we can reach out, give people HOPE, and change the very lives of dear ones and total strangers ... you aren't alone!!! 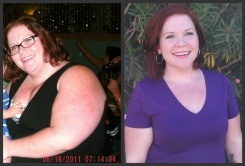 Daryl has lost 96 pounds in one year and now has a new career she loves--as a health coach! Thankfully, losing weight, gaining health, AND becoming a Health Coach are very simple, straight forward, and FUN activities!!! Call me today so we can get you started ... you have a lot to gain by losing those burdensome pounds and reaching out to help others!!! If you are an employer, take a close look at this "Weight of the Nation" which shows you how your business will profit by helping to create a healthy working environment. When they say it is all about the bottom line they are not kidding. Health Coach Resource has a crew of coaches to help your employees lose the weight and gain the health needed to decrease absenteeism, medication use and job errors. As a result, productivity, mental alertness, and positive attitudes all increase.